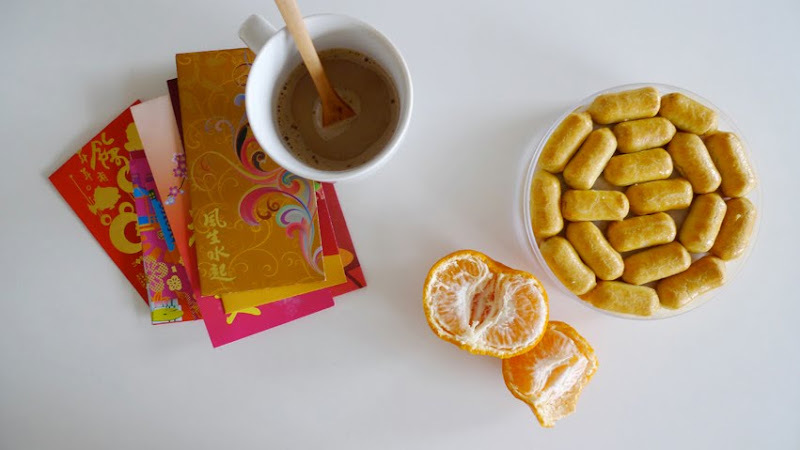 Pineapple tarts, mandarin orange, coffee. After MIA for about a week, i’m back with the spirits of Chinese New Year! The past week had been rather busy – spring cleaning (umm... i seldom do housework, so can’t really claim credit for that, but i did clean up my desktop and all my backup files are up-to-date now :-p), meeting clients, planning and tidying up some work before the long weekends etc., thus, was hardly at home. Happy Chinese New Year everyone! Gong xi gong xi!